FLORIDA – We are providing an update on the aftermath of the Hurricane Michael incident in Florida and in a separate post of what is happening in other impacted States. This is your Sit Rep for Saturday, October 13, 2018. Convoy of Hope at Marianna Walmart. Source: Hurricane Michael Resources Page. Reported by a OnStar member: If you are in a Hurricane affected area and have OnStar in your vehicle. Just press the Blue button and they will provide your vehicle with free wi-fi. Source: Hurricane Michael Resources Page. Sacred Heart Primary Care -Apalachicola. They are opens at 1 pm – 4 pm. Source: CEDR Digital Corps via Franklin EMA. 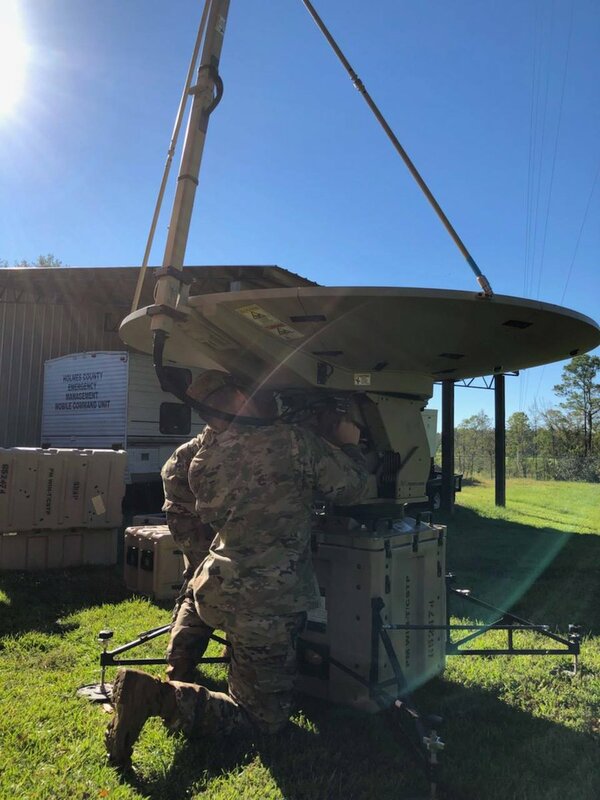 Soldiers are working to set-up tactical satellite terminals to provide county EOCs with internet and phone service to connect to citizens in time of need. National Guard personnel also were offloading water supplies from a chopper that flew into the area. 120 personnel (linemen) on the ground, working to restore power. There is an unknown estimated time when all will be restored (as of 10/12/2018 posting). Roads and Bridge – 80 crews on the roadway (as of 10/12/2018) due to increase up to 150 by today. Incident Summary | Around noon [West Coast time] on Saturday, a large wildfire broke out in the Live Oak Reserve subdivision. Currently, the fire has burned 165 acres and firefighters have reached a 25% containment status. Incident Cooperators | Seminole County Fire Department, Oviedo Fire Department, Orlando Fire Department, Maitland Fire Department, Winter Park Fire Department, Orange County Fire Rescue Department. Florida Forest Service. Oviedo PD, Seminole County Sheriff Office, Seminole County OEM and Department of Forestry. Evacuations | Mandatory evacuations were completed of those on Woodhurst Court, Live Oak Reserve and South Riverwood Trail. This also included the Girl Scout camp. Evacuation Shelter | 300 Lake Mills Avenue has been opened. Food is being provided to evacuees at the shelter. Currently, 50 residents have evacuated to the shelter. Evacuation breakdown includes 44 homes in the immediate area and 100 Girl Scout campers; 50% of the campers left the camp without their bags and personal items they brought to the camp. South Division | Riverwood and Old River Road. Fire in this area has been identified. A request for a DOF Rep was requested @ 1843 Hours PDT. Tanker 24 was reassigned @ 1851 Hours PDT to this area to help firefighters attempt to stop the fast ROS. Resources were moving over to this location. Division 20 | Tanker 32, Woods 21, 42, 11, E64, E42 were assigned to the Girl Scout camp. Structure protection was in play. All units were pulled out at 1900 Hours PDT. A dozer was making a line around the camp at 1902 Hours PDT. West Division | E26 was assigned to this area. Spotting was seen behind Havel Grove where 2 plows were assigned. East Division | E262 was assigned to this Division. This is the unburned side of the fire. There was zero activity in this area around 1851 Hours PDT. Damage Assessment | An unknown number of structures were destroyed located on the West side of the Girl Scout camp. Las Vegas, Nevada – A massive fire was seen from various view points in Western Las Vegas, burning a very large apartment complex located at the intersection of Hualapai & Rochelle and near 215 & Flamingo. Social Media began burning up the airwaves with multiple postings of fire images such as this one below. 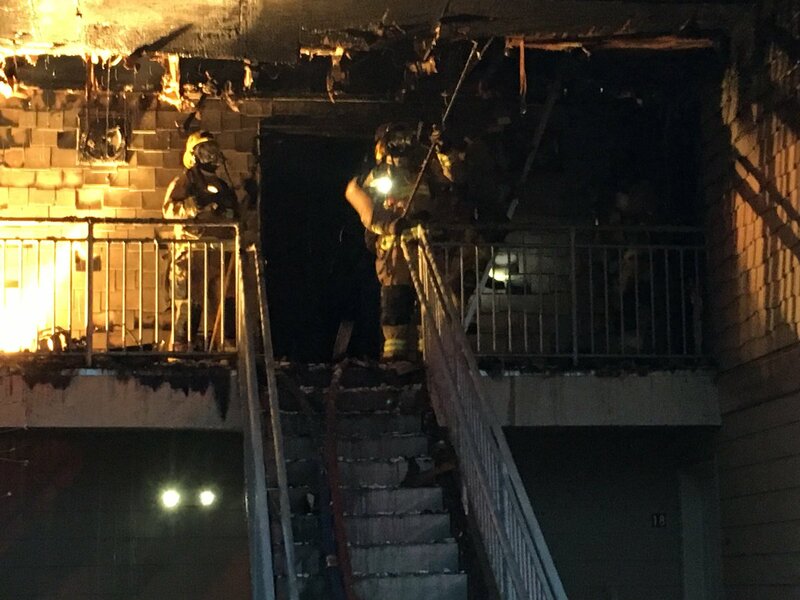 Clark County Fire Department was first due in and quickly elevated the fire to a 2nd Alarm bringing in additional resources (9 units) from Las Vegas Fire Department. Fire Investigators were said to be on-scene during fire suppression efforts being conducted. A cause is unknown at this time as Investigators will need to wait for the fire to cool down and be able to work the scene. This will take a while. 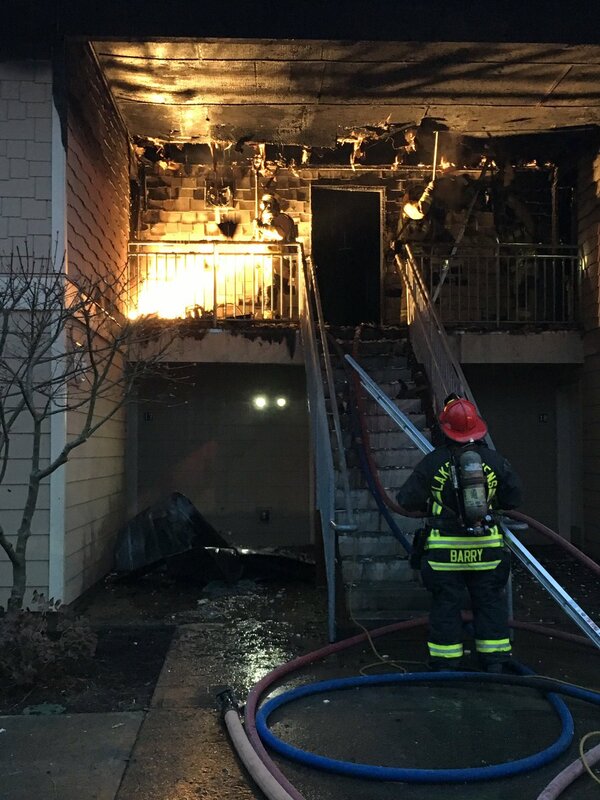 Communications by Fire personnel and Command reported multiple buildings on fire, able to extinguish the fires and hot spots, enter interior and some structures with burned off roofs. 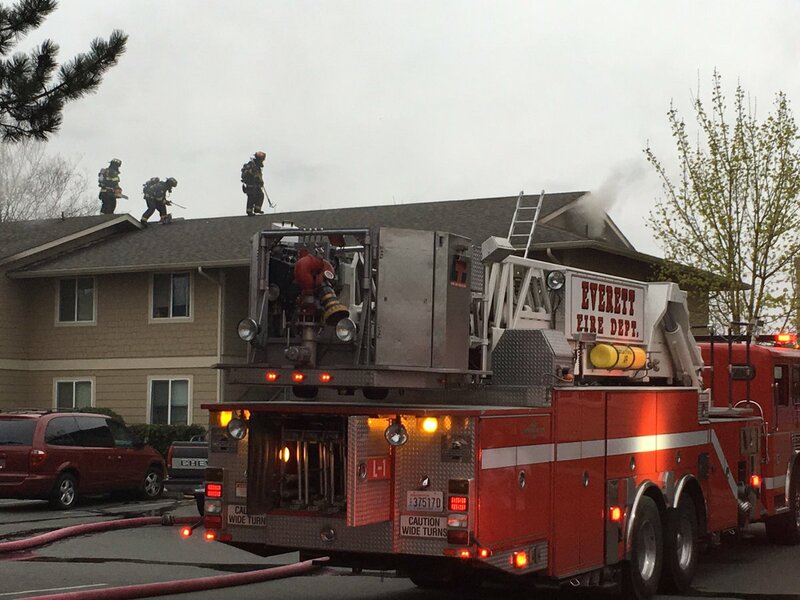 No injuries of civilians or firefighters have been reported. This first fire started on the afternoon of September 11th as a wind-driven wildfire driving the flames South and East. At one point, the fire was located above Grand Coulee City Hall, prompting firefighters to enact immediate structure protection. 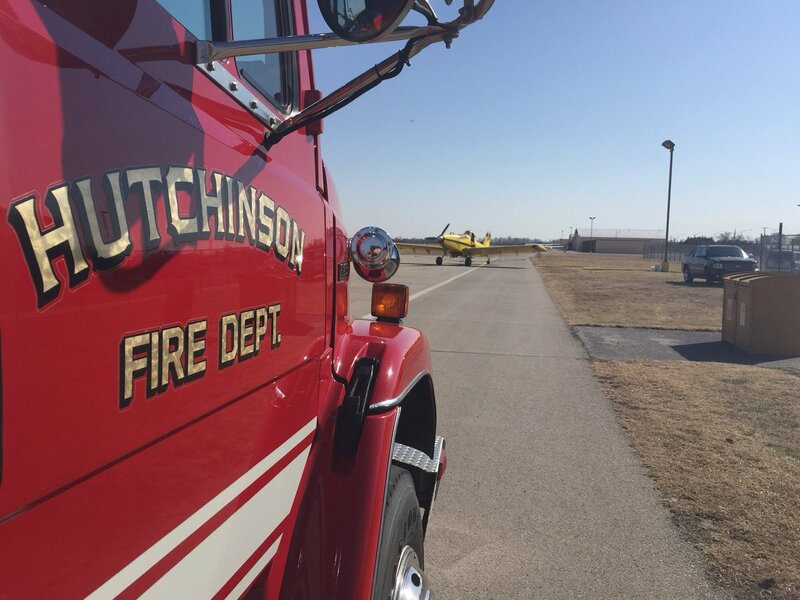 There are approximately 192 personnel assigned to this fire along with resources of 5 crews, 16 engines and 1 helicopter. This fire was the original owner of the Bureau of Indian Affairs. Command was turned over to a Type 3 IMT on September 13th. The Elmer City Fire is located one (1) mile from Elmer City (Okanogan County), Washington State. As of September 13th, the NW Interagency Coordination Center is reporting this fire to be at 100% containment status with 5608 acres burned. At 1500 hours on September 13th, the Level 3 evacuation order had been lifted. One (1) unknown type of structure has been lost. Cause of the fire is still under investigation, but power line slap (one wire touching the other due to gusty winds) is being looked at. Thank You for reading our Post today. May have you have a Safe Day! Multiple wildfires broke out in the Okanogan-Grant County area on September 11th that has caused much confusion to several of us, including mainstream Media. Wildfire information from various sources has differed and has been sketchy at times leaving us to wonder. But have no fear, we think we may have unlocked the mystery which in turn will be two separate posts. This first fire started yesterday afternoon, as a wind-driven wildfire driving the flames South and East. Fire crews a great job protecting Elmer City as the flames pushed up the hillside and around the city while continuing South. Yesterday during the day, there were several aircraft working the fire, four (4) fire bosses (single engine scoopers), and a four (4) engine heavy fire bombers (BAE 146). Mt. Tolman Fire Center had two (2) dozers actively working the fire. The Elmer City Fire is located just North of Elmer City (Okanogan County), Washington State. 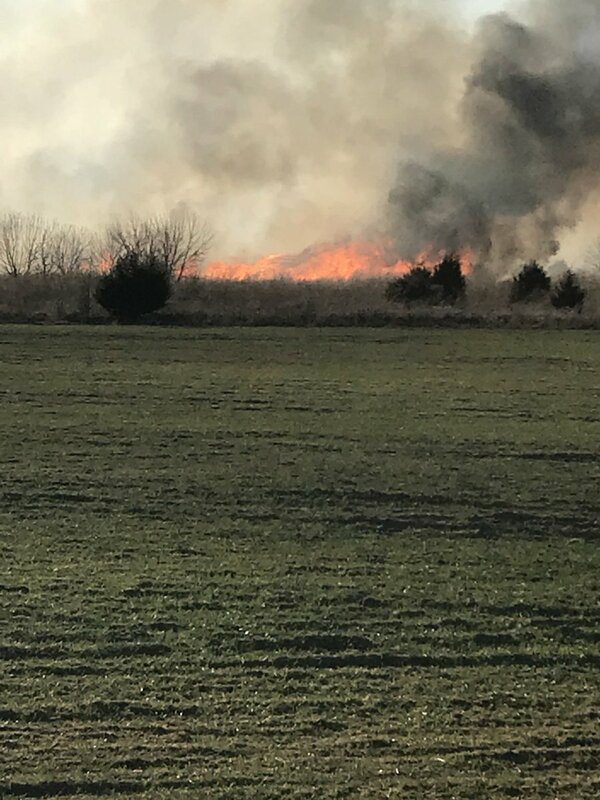 A second fire was burning between Elmer City and Coulee Dam but was quickly put out, limiting the size to less than a quarter acre. No evacuations, cause or injuries were reported. Alert Level One is still in effect for the area as the fire has the potential to hook around and move back west towards Coulee Dam and Elmer City. The winds are predicted to pick up again today. The Grand Coulee Fire name has been changed to the #230YardFire due to its proximity to the SV Switch yard near Grand Coulee Dam. Firefighters from across Grant, Okanogan and Douglas counties are on the scene. A wildfire is burning on the west side of the Columbia River located just North of Grand Coulee Dam that ignited on 9/11/2016. As of 2000 hours this evening the fire had reached 500 acres. State Mobe has been approved. A 2nd wildfire is burning on the west side of the Columbia River near Coulee Dam and Grand Coulee. Started 9/11/2016. Both fires are approximately 5 miles from each other. “People in Elmer City areas need to remain aware of the fire conditions and stand by for any evacuation requests. The Fire Department escalated the fire as a 3rd alarm. No injuries or structures damaged/destroyed as being reported. There are 2 wildfires burning within five (5) miles of each other and in different counties and they are in 2 different counties. So, you can clearly see how confusing this is but we are on it! A wildfire is burning on the west side of the Columbia River near Coulee Dam and Grand Coulee. Start 9/11/2016. Unknown size, containment status or resources known at this time. SR 155 is closed NB at Grand Coulee and SB at Elmer City. SR 174 is closed at SR 155 (Grand Coulee). Currently in Ephrata, which is not far from these burning fires – wind is said to be at 24, gusting to 31 m.p.h.